This model can be used in games, presentations, movies, AR/VR applications, etc. 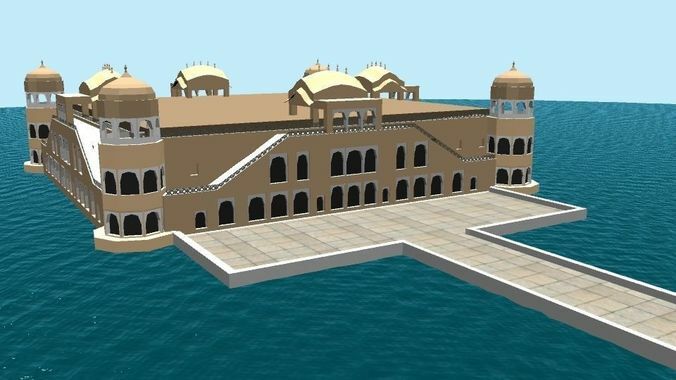 Jal Mahal (meaning Water Palace) is a palace in the middle of the Man Sagar Lake in Jaipur city, the capital of the state of Rajasthan, India. The palace and the lake around it were renovated and enlarged in the 18th century by Maharaja Jai Singh II of Amber.